Join BAVUG here at Rule Boston Camera on September 19th for a live recording of the Trailer Happy podcast. Jonathan Spencer and Joel Katon are just two Corporate Video Producers limelighting as Hollywood trailer reviewers, and every week, they take a look at the newest teasers and trailers and tell you what’s worth seeing! For this live episode, they’ll focus specifically on the editing of trailers and hopefully answer some age-old questions about movie trailers. What are some techniques used in a well edited trailer? Is the trailer edit integral to the movie’s box office success? What are some examples of amazingly/badly edited trailers? Join BAVUG and Trailer Happy for a fun, interactive conversation. Click here to register via BAVUG, and feel free to include your own topics that you would like to see covered. If you love movies, this is the meeting for you! 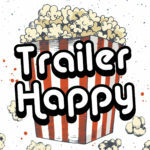 To learn more about Trailer Happy, subscribe on iTunes or your favorite podcast app.